Left to right: James Benett, Len Garret, Harold Montgomery, S.L. McMullen, Dave Burns. 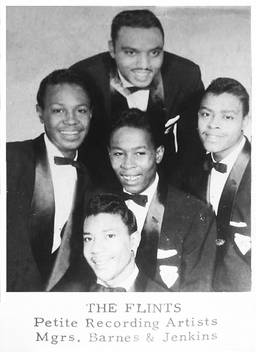 Very fine vocal group from Flint, Michigan composed by James Benett, Len Garret, Harold Montgomery, S.L. McMullen and Dave Burns. The group is managed by Herb Barnes and occurs locally in Michigan area. 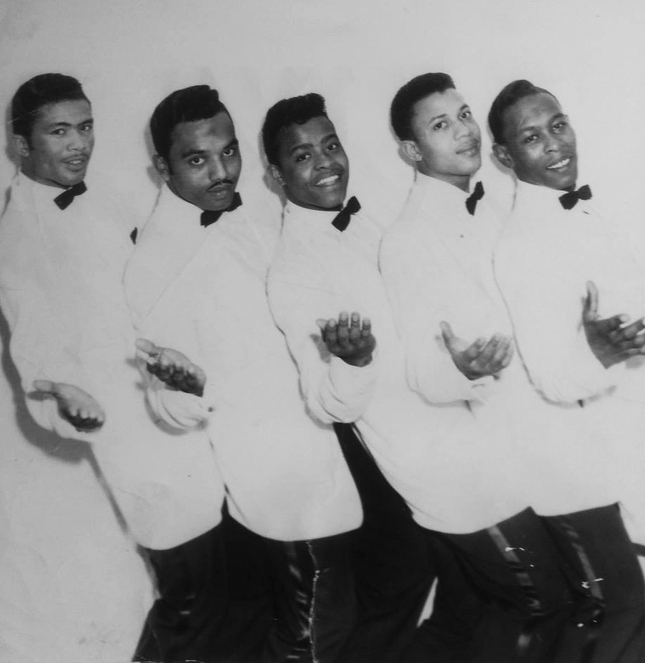 In 1958, The Flints performed at the Apollo Theater amateur contest in Harlem. The Flints make an enormous impression, as much by their accuracy as by their professionalism. 1958 - Apollo Theater (L to R) Harold Montgomery, Dave Burns, S.L. McMullen, Jimmy Jackson, Len Garrett, Herb Barnes (manager). Following this performance, The group went on to record under the Petite records label in New York. Two songs were recorded : "Over The Ocean" b/w "Chickie Chop Chop". The single was released in Fev 59. 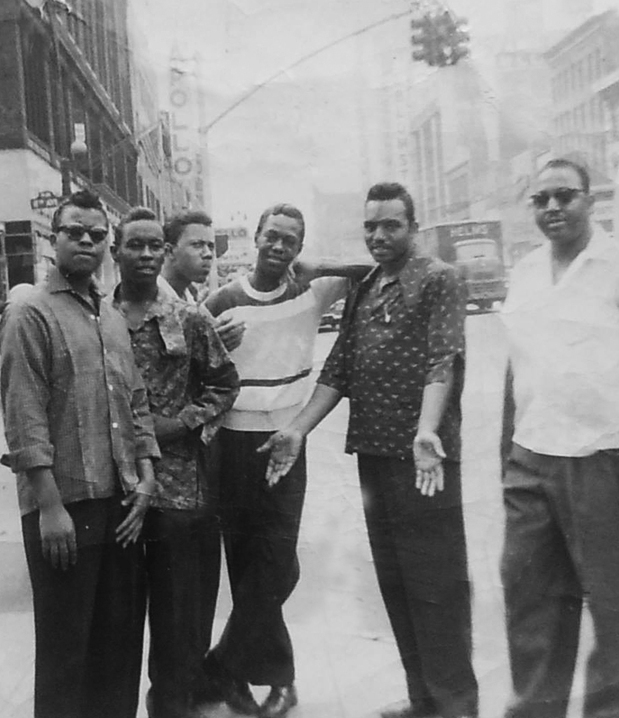 The group gained success with their single and in Nov 59, the group signed a recording contract for the New York R&B label Okeh . Okey released their second single : "Skippin' And A-Jumpin'" b/w "People Say". in 1962, their last single "Why Did You Go" b/w "When Summer Gets Back" was released on Heart Records, a Detroit label.